Anna Indahl concentrates her practice on the defense of matters involving commercial litigation, products liability, and employment law. She has counseled and represented clients ranging from small businesses to international corporations, as well as public sector and governmental entities. 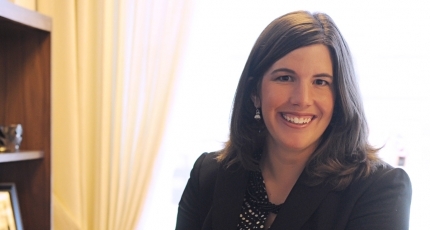 Anna has extensive experience in managing and litigating complex products liability and commercial disputes in both state and federal courts. Such matters have included, among others, medical device, product defect, general tort, wrongful death, consumer actions, construction defects, and business contracts. In addition, she has represented employers in a variety of employment matters, including covenants not to compete, civil rights claims, federal and state anti-discrimination laws, contract disputes, wrongful discharge and other federal and state law claims. Anna has achieved an AV® peer review rating from Martindale-Hubbell and has been named a Southwest Rising Star by Southwest Super Lawyers®. Anna has managed cases from inception, including the oversight of discovery, and has drafted and argued successful dispositive motions which have won summary judgment for several clients. Anna has prepared for and taken numerous depositions, including both fact and expert witnesses, and has received hands-on trial experience, including extensive trial preparation, presenting the opening and closing arguments in a jury trial, and conducting both direct and cross examination of witnesses. In addition, she has been successful in obtaining temporary restraining orders and preliminary injunctions to protect the interests of her clients while litigation is pending. Anna also routinely presents in-house legal updates to clients. Anna is originally from Albuquerque, and recently returned to Modrall Sperling after living overseas in Turkey for two and a half years. While in Turkey, Anna taught law related courses to servicemen and women who were stationed in the Middle East, including those who were deployed in Iraq and Afghanistan.